Manchester United got back to the winning column this Saturday against Tottenham Hotspur. The Spurs were a tough challenge, but they could not mask the absence of Harry Kane. And ultimately The Red Devils escaped with a huge win that should keep their title chances very much alive. United had a few absences of their own as well, but managed to win 1-0. The lone goal of the contest came thanks to Anthony Martial. And the French was the biggest star of the game. The 21-year-old French attacker once again played a key role for The Red Devils, as he scored the game-winning goal late in the second half. But the main thing is that Martial, as it has been the trend all season long, once again came off the bench to change the game for Jose Mourinho’s side. Many fans looked surprised when the starting XI was announced. The Portuguese tactician chose to play with a 3-4-3 system. 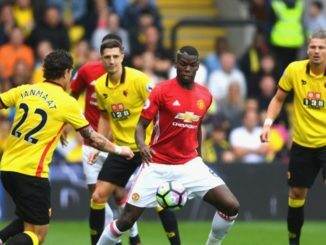 As such, the attacking line featured Henrikh Mkhitaryan, Romelu Lukaku, and Marcus Rashford. Martial entered the game in the 70th minute replacing Rashford, and wasted little time to make an impact. Following an impressive aerial assist from Lukaku, Martial got into a good position and coolly placed the ball into the back of the net past Hugo Lloris. It was Martial’s fourth goal in the Premier League and also has two assists in nine appearances. But the interesting thing is that the former Monaco star has only appeared as a starter in three of those nine matches. Apparently he has cemented a super-sub role this season, similar to what players such as Javier Hernandez and Ole Gunnar Solsjkaer did in the past. If we take a look at all competitions, Martial’s numbers look even better. He has six goals and five assists in 14 matches, but only six starts. And while he would certainly like to play more, it is undeniable that he works far better in a secondary role off the bench. And that’s fine. Some players have that ability to thrive coming off the bench since they can read what’s happening on the pitch better. And that’s a tendency with Martial. Every time he comes off the bench, the French always finds the way to exploit spaces in the opposing defences. United remain in second place and are still five points behind Manchester City in the standings. 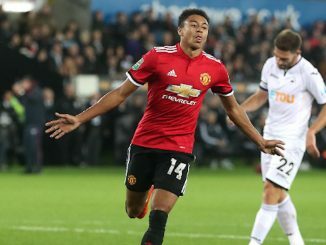 But after the draw against Liverpool and the loss against Huddersfield, United needed to win to boost their confidence. And that’s exactly what happened, as the team proved they can win while using different tactical systems. And if everything else fails, there’s always the alternative of Martial coming off the bench. As we have seen all season long, the French once again delivered. And he came up huge for United when the squad needed him the most. 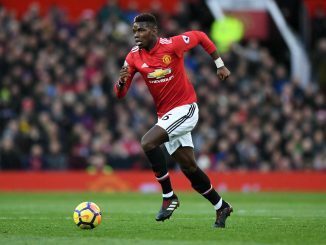 Is This Paul Pogba’s Last Season Playing For Manchester United?